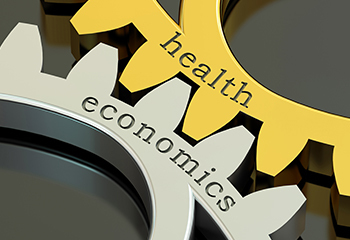 As a professional observer of healthcare for the last 20 years, the relationship between Adam Smith economics and healthcare research and developments has always fascinated me. In brief, does the dynamic of competition that drives profit-making innovation propel, or hinder, medical breakthroughs? The National Institutes of Health (NIH) initiative around “precision medicine” – treatment that focuses on the unique genetic code of the individual and not a one-size-fits-all treatment – begs that question. In this initiative, the NIH is partnering with regional healthcare providers and community-based clinics nationwide to gather health, environmental, and lifestyle data from 1 million volunteers to generate new insights for old diseases. In brief, researchers and data have a very new relationship through collaboration, with enormous implications for both physical and mental health. To help answer the question of competition as a driver of change in healthcare, let’s look to consumer products. Take televisions, for example. Sony, Samsung, etc. duke it out to make the best product at the best price. The consumer ends up making the decision for him or herself alone; no one else is affected by that choice. May the best product win through the aggregate of choices. What if Pharmaceutical Company A holds several pieces to the puzzle and Pharmaceutical Company B holds the remaining pieces? Competition and the “race-to-the-moon” mindset prevents collaboration between the two to find the solution – now. However, it starts to get complicated with healthcare. For starters, it’s a comingled industry. In other words, your health ultimately affects mine and vice versa; because of the dynamic of insurance’s pooled resources, financially, we’re all in this together as we have to help pay for each other’s healthcare – from mammograms to heart surgery to life-changing medications. That comingling raises questions about responsibility – society’s responsibility to the individual to provide the best care and the individual’s responsibility to society to maintain optimum health. Unlike buying a TV where the decision is private, in healthcare, our decisions affect each other. Secondly, the stakes are higher in healthcare. The best TV is great, but it doesn’t carry the weight of best health, which affects society from all angles – physically, psychologically and economically. How do we achieve that best health? This is where the rubber meets the road. Consider research into schizophrenia as an example. What if Pharmaceutical Company A holds several pieces to the puzzle and Pharmaceutical Company B holds the remaining pieces? Competition and the “race-to-the-moon” mindset prevents collaboration between the two to find the solution – now. One could conclude that we never find the solution or find it many years down the road. However, there’s another side to this argument as well. If the model is for more collaboration among research entities, then we lose the competitive edge, the drive to outsmart the other guy or gal to get to the better solution faster. If I have to share the profits – or the glory (let’s not underestimate the power of ego) – then why should I spend every waking hour to ensure that I and my organization get there first? All of these are legitimate questions, and the NIH “precision medicine” initiative has started to open the door to a new way of thinking to answer them. If the model is for more collaboration among research entities, then we lose the competitive edge, the drive to outsmart the other guy or gal to get to the better solution faster. While this is not the first effort at collaboration ­– take Cambridge’s Broad Institute and the Parker Institute for Cancer Immunotherapy as examples – what makes this initiative stand out is that it flexes some federal government muscle around a new approach. The Feds, if nothing else, have resources that spread far and wide, especially when the initiative has bipartisan support. For sure, it will be an uphill battle, as President Obama himself acknowledges, citing the “economics of treatment” as a major barrier, in which pharmaceutical companies may be less willing to invest in highly effective treatments that will treat only a small number of patients. As the expression goes, Rome wasn’t built in a day, but this depth of collaboration invites a new approach that has staggering potential. What we know for sure is that nothing great has ever been achieved through business as usual. I guess you might want to look at societies that have more government centralized approaches such as China and Australia and compare that to market profit driven approaches like USA and Switzerland and compare the systems that best addresses the health of their population. I’m skeptical that competition and profit incentive have to be drivers of medical innovation. Many advances in medical technology were discovered through scientific research, not profit-hungry innovation. It’s specious to argue that American consumers have to put up with the likes of $600 EpiPens because pharmaceutical companies require massive profits to fuel their research. The health care market does not meet the definition of a free market described by Adam Smith and hence ought to be considered a public good funded by taxpayers. When your life or a loved one’s life is threatened by illness or injury and you desperately need medical care, you’re not in a position to refuse a life-saving drug or procedure because it’s too expensive, in the same way you can choose not to purchase a pair of pants or a haircut. There’s an inequality of bargaining power, to the advantage of pharmaceutical companies and health care providers who are free to charge outrageous prices.